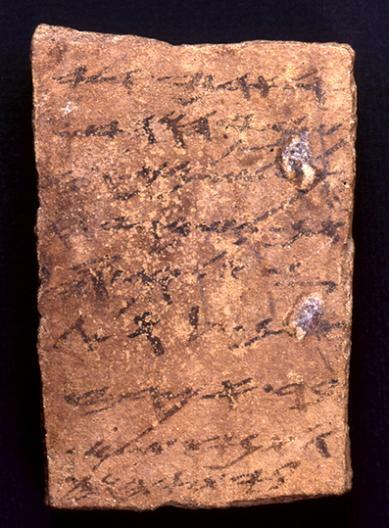 The author of this ostracon is unknown—as is the precise circumstances surrounding the writing—but the recipient is Eliashib. Nothing is known about this individual. The ostracon makes it clear, however, that the author is responding to a prior correspondence from Eliashib. The author speaks of a mutual acquaintance as staying in the house of YHWH, which is likely a reference to Solomon’s temple in Jerusalem. This is the 2nd oldest mention of Solomon’s temple discovered (the “3 shekel” ostracon is the oldest). This was written within a few years/decades before Solomon’s Temple was destroyed by the Babylonians in 586 BC. The ostracon is currently housed in The Israel Museum.